ENSENADA, Baja California, Mexico – Each year brings more landmark celebrations to the World’s Foremost Desert Racing Organization and the four-race 2018 SCORE World Desert Championship will include celebrating the marquee SCORE Trophy Truck racing division as it commemorates the 25th year since then SCORE owner Sal Fish introduced the most unique of all desert racing classes to the motorsports world in 1994. Helping mark the launch of year 25 in the history of SCORE Trophy Truck, a total of 38 of these unique racing machines are officially entered to date in next week’s season-opening 32nd annual SCORE San Felipe 250 in Baja California, Mexico. The popular event will be Round 1 of the four-race 2018 SCORE World Desert Championship. 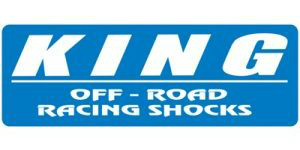 Nearly 250 entries in Pro and Sportsman classes for cars, trucks, UTVs, motorcycles and quads are expected in the race. Many of the sport’s top stars are among the first 202 official entries as of today from 24 U.S. States along with the additional countries of host Mexico, Austria, Canada, Finland, Germany, Italy, New Zealand and Peru. Featuring the longest course in race history at 319 miles, the race will start and finish for the second straight year and just the second time in race history on the Malecon beach walk along the edge of the water in the heart of town. The event will be held April 4-8 in San Felipe, the peaceful fishing village on the Sea of Cortez, 125 miles south of the U.S. Border at Calexico, Calif. The year of 2018 also marks the 50th anniversary celebration of the legendary BFGoodrich Tires SCORE Baja 500 to be held the end of May and beginning of June. Sal Fish, who owned SCORE for 38 years until he sold the company to Roger and Elise Norman in December of 2012, gives much credit for the starting of SCORE Trophy Truck to Off-Road Motorsports Hall of Famer and motorsports executive Frank DeAngelo for helping create SCORE Trophy Truck. Fish remembers DeAngelo being a strong catalyst in putting truck and tire manufacturers together to support the project. SCORE Trophy Truck debuted in 1994 as its own series and ran for the first four years (1994-1997) in conjunction with the SCORE series as the Tecate SCORE Trophy Truck Series. For the next 20 years up to and including today, SCORE Trophy Truck continues as the featured racing division in the SCORE World Desert Championship. Estimates regarding the production of these ultimate desert racing machines range from $500,000 for an entry level truck to over $1 million for the most sophisticated, technology advanced of these ‘Monsters of the Desert’. SCORE Trophy Truck, the featured SCORE racing division for high-tech, 900-horsepower, unlimited production trucks, continues to lead the growing entry list for the race with 38 trucks (including six SCORE TT Legend entries-drivers over 50 years old) in the lineup so far for next week’s SCORE San Felipe 250. While picking the winner is tougher than completing an accurate bracket for the NCAA Basketball Champion, there are some serious racers of pedigree in SCORE Trophy Truck entered in this year’s SCORE San Felipe 250. In terms of SCORE Trophy Truck season point championships, eight drivers who have combined to win 16 of the 24 years are entered in San Felipe this year. Also, eight drivers are entered who have combined to win 14 of the 24 races in San Felipe that has had SCORE Trophy Truck as a class. Also entered in San Felipe are 13 drivers who have combined to win the SCORE Trophy Truck class in 81 of the 127 total races in the 24-year history of the showcase class. Leading the way is Las Vegas’ Rob MacCachren, last year’s overall and SCORE Trophy Truck winner in San Felipe in the No. 11 MacCachren Motorsports Rockstar Ford F-150 who has a race-high five overall and SCORE Trophy Truck wins, including last year, and nine total class wins in San Felipe. The ‘Mac Attack’, who won SCORE Trophy Truck season point titles in the inaugural year of 1994 and 2007 (with Mark Post), tops the all-time race victory list in the legendary class with 15 career race wins in his illustrious career. In addition to MacCachren, the other seven racers who have won SCORE Trophy Truck season point championships who are racing in San Felipe next week are Robby Gordon, Charlotte, N.C., Tim Herbst, Las Vegas, Ed Herbst, Las Vegas, B.J. Baldwin, Las Vegas, Mark Post, Las Vegas, Bryce Menzies, Las Vegas and Carlos ‘Apdaly’ Lopez, Tecate, Mexico. Gordon, a former NASCAR team owner/driver and Indy Car racer, has 11 career SCORE Trophy Truck race wins including one in San Felipe along with season championships in 1996 and 2009. Tim Herbst, racing with his older brother Ed Herbst, also has 11 career SCORE Trophy Truck race wins including three in San Felipe along a SCORE-record four season point titles in 1999, 2000, 2002 and 2003. Ed Herbst will be the substitute driver for Troy Herbst, the youngest of the three Herbst brothers, in the second Terrible Herbst Motorsports SCORE Trophy Truck. Another Las Vegan, B.J. Baldwin, has six career SCORE Trophy Truck race wins, none in San Felipe but he is tied with Tim and Ed Herbst with four SCORE Trophy Truck season point crowns in 2006, 2008, 2012 and 2013. Mark Post of Las Vegas has seven career SCORE Trophy Truck race wins, two in San Felipe as well as the season title in 2007 racing with MacCachren. With five career SCORE Trophy Truck race wins, Las Vegas’ Bryce Menzies also has not won a race in San Felipe but in 2011 he won the season title while also earning SCORE Rookie of the Year honors. Only 23 years old, Carlos ‘Apdaly’ Lopez has two SCORE Trophy Truck race wins, none in San Felipe and he has won the SCORE Trophy Truck annual season point championship for the last three consecutive years (2015, 2016 and 2017). The other SCORE Trophy Truck race winners in San Felipe entered this year that don’t have a season point championship in the class are Mexico’s Gustavo Vildosola Sr (2003 with MacCachren), Mexico’s Gustavo ‘Tavo’ Vidosola Jr (2013, 2014, 2015) and Billy Wilson, Corpus Christi, Texas (2016). Gus Sr has three career SCORE Trophy Truck race wins and his son Tavo has six career race wins in the iconic class. Entered in San Felipe where they haven’t won in SCORE Trophy Truck but have career race wins in the premier racing division are Andy McMillin, San Diego with nine career race wins in SCORE Trophy Truck, Ryan Arciero, Foothill Ranch, Calif., who has three career race wins and Juan C. Lopez (Apdaly’s father), Tecate, Mexico, who has two career race wins in this super class. As a high school senior in 2005, A. McMillin won overall and Class 1 in this race, splitting the driving with his father Scott McMillin. Also of note, Apdaly Lopez has finished third in SCORE Trophy Truck in this race each of the last three years on his way to the season point title each year. While the featured SCORE Trophy Truck division (38 entries) is in the center of the spotlight at this point, many of the other classes already have significant numbers of racers entered promising another exciting and challenging season opener in many classes for the SCORE World Desert Championship. The other Pro car, truck and UTV classes with double-figure entries so far are the unlimited Class 1 with 13 entries, Trophy Truck Spec with 15, Class 10 (15) and Pro UTV FI (Forced Induction) with 19 entries. The leading Pro motorcycle class in terms of entries is Pro Moto Ironman with 10 entries of racers who will attempt to complete the race while riding solo. Pro Moto Unlimited has eight entries so far. Among the Sportsman classes, Sportsman motorcycle has the most entries to date with 14 racers so far. A total of 18 the 2017 SCORE World Desert Championship season class point champions are entered so far in this year’s SCORE San Felipe 250. Leading the car, truck and UTV champs already among the field is ‘Apdaly’ Lopez, Tecate, Mexico, in SCORE Trophy Truck. Also entered already are SCORE TT Legend season champ Clyde Stacy, Bristol, Va., Class 1 champion Brian Wilson, Lakewood, Calif., Elias Hanna, Ensenada, Mexico (Trophy Truck Spec), Broc Dickerson, Brawley, Calif. (Class 10), Roberto Romo, Mexicali, Mexico (Class 1/2-1600), Rafael Aguirre, Monterrey, Mexico (SCORE Lites), Dan Chamlee, Santa Barbara, Calif. (Class 7), Marc Burnett, Lakeside, Calif/Tim Orchard-Sub Driver. (Pro UTV FI), Don Whittington, Fort Lauderdale, Fla. (Pro UTV), Gerardo Novelo O., Ensenada, Mexico (Class 7SX) and Dennis Hollenbeck, Ensenada, Mexico (Class 11). 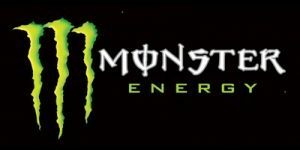 Among the motorcycle and quad classes, reigning season point champions already entered are Shane Esposito, Murrieta, Calif. (Pro Moto Unlimited), Santiago Creel, Mexico City (Pro Moto Limited), Ryan Liebelt, Reedley, Calif. (Pro Moto 30), Jano Montoya, Winter Garden, Fla. (Peru) (Pro Moto 40), Jose Carrasco, Rosarito Beach, Mexico (Pro Moto Ironman) and Said Sanchez, Tijuana, Mexico (Pro Quad). Celebrating the 32nd anniversary of the youngest of the three legendary SCORE Baja races, sometimes referred to as the SCORE ‘baby Baja’, entries are being accepted on the SCORE website under Race Info at www.SCOREInternational.com for Pro and Sportsman entries for cars, trucks, UTVs, motorcycles and quads. Pre-race festivities will be held in San Felipe on April 4, 5 and 6 with race days on Saturday, April 7-8 concluding with the post-race awards fiesta at 10 a.m. PDT on Sunday, April 8. The colorful pre-race contingency and vehicle tech inspection will be held on Friday, April 6 starting at 9 a.m., the starting line and the finish line will be on the Malecon in the heart of San Felipe for the second straight year. The deadline to enter in time to be in the drawing for starting positions within each class is 8 p.m. PT on Tuesday, March 27. 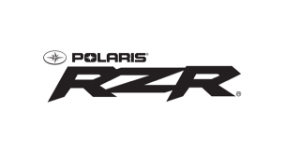 Motorcycles and quads will leave the start line first in the elapsed-time race, starting at 6:20 a.m. PDT on Saturday. The car, truck and UTV classes will begin their journey at approximately 9:30 a.m. PDT with a minimum two and one-half hour gap between the last SPT quad and first SCORE Trophy Truck. While the fastest vehicles are expected to complete the course in just over five hours, all vehicles will have 16 hours from the time each starts to become an official finisher. SCORE President Roger Norman and SCORE Race Director Jose A. Grijalva have worked with the government officials and ejidos of the Mexicali and San Felipe areas to develop a memorable SCORE San Felipe 250 race course of 319 miles, the longest in the history of this popular desert race. This year’s grueling race course will be another beauty to behold but a tough challenge to race on. It runs in a counter clockwise direction running over high-speed dry lake beds, through low-speed winding, rock-strewn, twisting canyons and trails, along quick-paced dirt roads and through four of Baja’s most infamous washes in Las Cuevitas, Matomi, Huatamote and Amarillo. There will be three full stop checkpoints in addition to the start/finish line which will be located for the just the second time in the history of this race on the Malecon in the heart of San Felipe. Checkpoint 1 will be located at El Chinero (race mile 74.2), the second at La Providencia (rm 185.5) and the third will be at Old Puertecitos Road (rm 270.33). 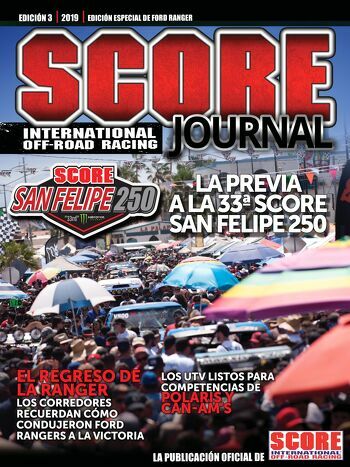 The 32nd Annual SCORE San Felipe 250 racer brief, course map and GPS files are available on the SCORE website on the race page under the Race Info tab. For over three decades, the annual motorsports festival that has brought the largest economic impact of any single event held annually in this lightly-populated portion of the rugged, rough and bountifully beautiful Baja peninsula has been the SCORE San Felipe 250. Following last year’s epic celebration of the 50th BFGoodrich Tires SCORE Baja 1000, this year’s SCORE World Desert Championship includes the special tribute to the 50th BFGoodrich Tires SCORE Baja 500 when it is held this year in Ensenada on May 30-June 3. Like all SCORE races, there will be classes for cars, trucks, UTVs, motorcycles and quads. The first Baja 500 organized and produced by SCORE was held on July 26, 1974 as the first of over 150 SCORE Baja races that have been held to date. Ensenada is the heart and soul of the SCORE Baja 500 as the popular summertime race. It will start in Ensenada for the 45th time and finish in Ensenada for the 41st time. BFGoodrich Tires, the SCORE official tire for over 40 years, has posted a $25,000 contingency bonus for the overall winner of the golden anniversary race. The SCORE Baja 500 is considered one of the top 10 motorsports events held annually in the world. Official SCORE Sponsors: BFGoodrich Tires-Official Tire and official race title sponsor, Monster Energy-Official Energy Drink, King Shocks-Official Shock Absorber, Polaris RZR-Official UTV, RACELINE Wheels-Official Wheel, VP Racing Fuels-Official Fuel, El Rey Network-Official Television Partner, Wide Open Excursions-Official Arrive and Drive Company, Crystal Bay Casino-Official Casino. 15 Rob MacCachren, Las Vegas, Ford F-150, 1994, 1996(2), 2003 (w/ G. Vildosola), 2007(3) (w/M. Mark Miller, Cave Creek, Ariz., Chevy Silverado, 2002 (w/ Larry Ragland), 2003(2), 2004 (w/ R.